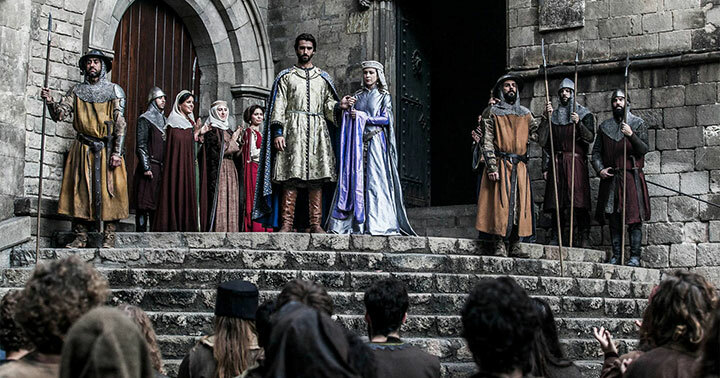 Jordi Frades, director of Spanish period drama La Catedral del Mar (Cathedral of the Sea), tells DQ about filming the epic series and why he wanted to stay true to its source material. Four months after its debut on Spain’s Antena 3, period drama La Catedral del Mar (Cathedral of the Sea) is now available worldwide on Netflix. Set in Barcelona during the 14th century, the series uses the construction of the real-life church of Santa María del Mar as its backdrop. It focuses on a servant who, after escaping his father’s abuse, harbours ambitions to secure wealth and freedom – much to the disdain of the noble class and the suspicion of the Inquisition. The large ensemble cast is led by Aitor Luna (Arnau) and Daniel Grao (Bernat), who share the screen with 2,500 extras. It is based on the book of the same name by Spanish author Ildefonso Falcones. The eight-part drama is produced by Diagonal TV and distributed by Endemol Shine International. Here, director Jordi Frades tells DQ about the origins of the series, the challenges of production, filming epic battle scenes and why its intimate style means it shouldn’t be labelled Spain’s Game of Thrones. How would you describe the story of La Catedral del Mar? It is the story of how a child becomes a man and how a servant becomes a free man while Santa María del Mar is built in Barcelona during the 14th century. 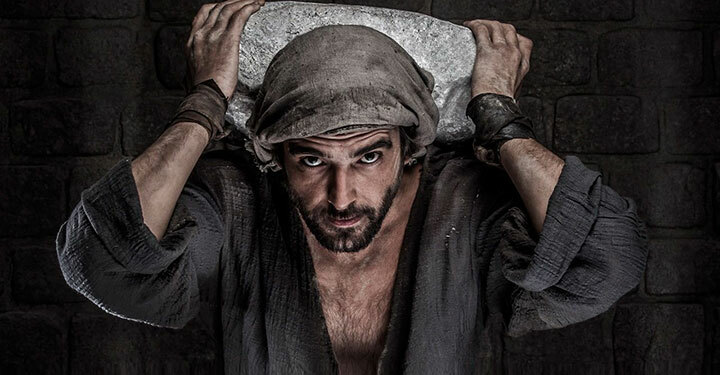 It is a story of pain, love and guilt – guilt as heavy as the stones that Arnau carries for the construction of the cathedral. What was the origin of the series and how did you become involved? When the novel was published in 2006, my father told me about it, saying there was a great movie or series in it. I read it and it impassioned me. But I found it impossible to produce for the screen because of the high budget that would be needed. 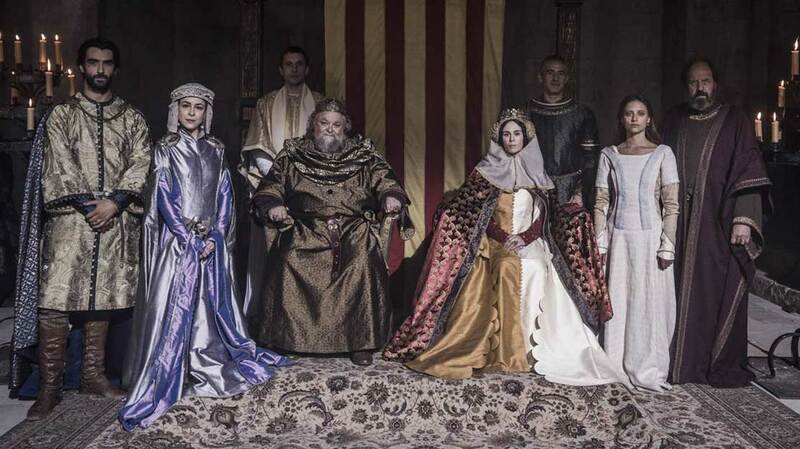 At that time, there was no tradition of period drama series in Spain. Years passed and I began to direct some period series: La Bella Otero, La Señora and República… Suddenly, the production company I was working for, Diagonal TV, told me to make a first document about the possible adaptation of La Catedral del Mar, to license the rights. So I made that document and they gave us the rights. At that moment, the script process began. 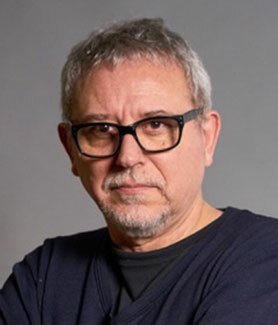 Rodolf Sirera, Antonio Onetti and Sergio Barrejón were going to be the writers who would adapt the novel. Meanwhile, I directed the three seasons of historical series Isabel and a film called The Broken Crown. Then the long process of pre-production for La Catedral del Mar began. What was the appeal of directing this series? I was passionate about recreating something that had touched me so much – a truly powerful story with great characters and emotional moments. I wanted to have the chance to show what life was like in Barcelona during those times, and at the same time it was the biggest production I had ever faced. It would have been a great challenge for any director. How did you work with the writers during the script stage? We had a great relationship because we agreed on almost everything. They made the great decisions on how to take the novel to script. They wrote a first draft with absolute freedom, and from there we worked together. I believed the adaptation should be totally faithful to the novel so the readers wouldn’t be disappointed. We incorporated some parts that had disappeared and that I wished to keep. We also changed the number of episodes from six to eight to find the right pace for the story. The writers worked with humility, respecting the original author’s work. As we were having difficulties fully financing the series, shooting was delayed. That inconvenience, paradoxically, gave us the opportunity to improve the script in new versions. How was the series developed with Antena 3? We had the chance to work creatively with total freedom. As is often the case, they gave us some notes on the first versions of the script. At no time did I have the feeling that they intruded; they supported us completely and made the series better. In fact, I have always been lucky enough to work with total freedom. Are there many parallels to contemporary Spain or does this series serve only as a historical story? How much did you use the original novel by Ildefonso Falcones as a guide to creating the show’s visual style? I tried to shoot the scenes the way I imagined them when I read the novel. I went back to the novel to remember the feelings I had when I read it for the first time. I also delved into the atmospheric descriptions in the novel. Many of them gave me the right pacing and breakdown I was looking for. Tell us about production – how did you approach filming this series? It was very complex, because although the money needed to shoot the series had been collected, it was a very tight budget. That forced us to cut some scenes, which was very painful. I worked hand-in-hand with the production manager and assistant director to adjust the shooting days, locations, CGI and so on according to the budget. But I was sure that I wanted to tell the story in an intimate way and not try to emulate series like Game of Thrones or do things we did not have enough budget for. Most of the series is shot on location – where did you film and how do you authentically recreate 14th century Spain in the modern day? We shot in many parts of Spain: Cáceres, Madrid, Segovia, Sos del Rey Católico and Barcelona. The sum of all those locations was going to give us the feeling of period that we needed. We also had a lot of sets on a soundstage. What was the biggest challenge during filming? The most important thing was that the audience recognised the novel in the series and did not feel frustrated. So all decisions were made with this in mind. Regarding the production, the castle assault and the sea battle were the most difficult scenes. We were short of money, time and extras, and the CGI budget was also tight. In addition, I didn’t have much experience with those kinds of scenes. The stunt crew saved my life. The construction of the cathedral was a great challenge as well. Marcelo Pacheco, the production designer, did great work by building the exterior cathedral set over a real cathedral in Cáceres. What scene stands out as being particularly difficult with the number of extras, and how did you film this? Without any doubt, the castle assault was the most difficult. We had to make 200 extras seem like more than a thousand people. The three armies involved in the battle were played by the same extras. First we shot one army, then we changed clothes and we shot the other army and so on. It was complex because we only had two days to shoot the entire battle. Why does Spain continue to be fascinated by period dramas? Will this trend continue? The historical genre exploded in Spain because of the success of Isabel. So far we have had a lot of period dramas, but not historical. I think period works so well because the audience is moved away from reality in all senses. The music, performances, costume and sets are far from our daily life. It gives the story a unique and poetic point of view. Of course, it is also a matter of trends. Our market is now in a new cycle where everything is a thriller, but there is always a period series in development or production. Is your role as a director changing? I have always worked in the same way; there is nothing I do now that I did not do before. What has changed is technique. Before, almost every series was shot with multiple cameras on a set. Now they are shot in real locations with one or two cameras, like movies. Is there a second season planned? What are you working on next? 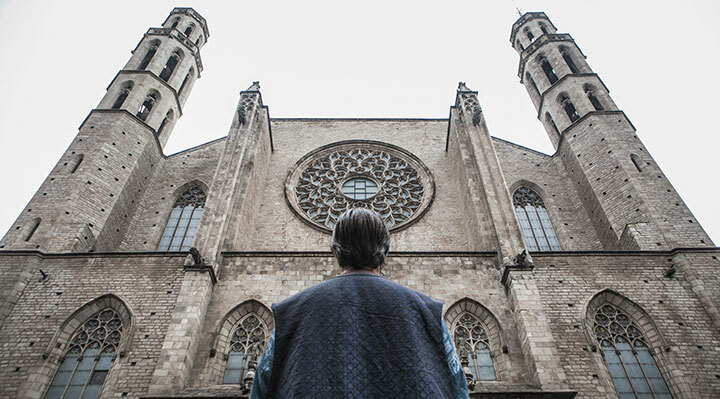 La Catedral del Mar has a second part written: Heirs of the Earth, and we already have an adaptation proposal, but I guess it is still early days given the series is still airing on TV Cataluña and has just launched on Netflix. Now we are about to premiere Matadero, a very Spanish black comedy thriller, for Antena 3 and Amazon Prime Video.